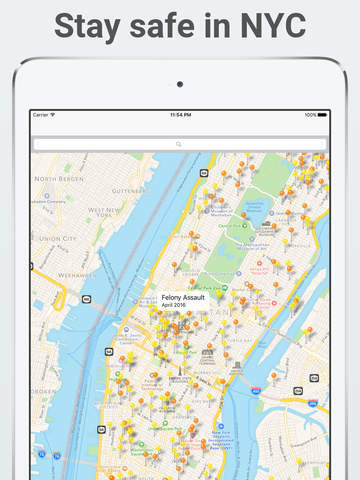 I highly recommend you update to the latest version Safe View New York City for the newest features and the best performance! Any issues? Contact support@safeviewnyc.com. 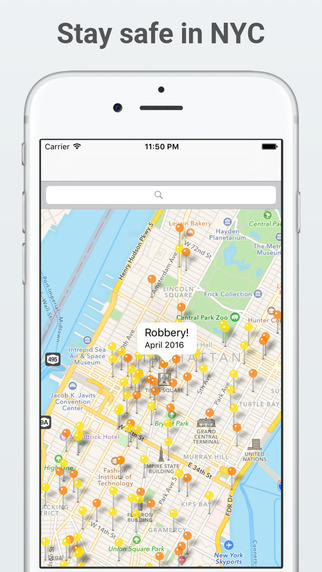 The app that helps you around New York City in the safest possible way! Safe View New York City shows you the latest available pedestrian-related crimes in all of New York City. The three major types of available pedestrian-related violent crimes—shootings, robberies, and felony assaults—are displayed by color and location on an interactive map of the city. For questions, support, suggestions, or just to send love, email hello@safeviewnyc.com. I'll fix any issues as soon as possible. Thanks for checking Safe View New York City out!